Applicants will be screened and those selected for consideration will be interviewed by a Committee of Rotarians, tentatively scheduled for Saturday, August 20, 2011. The Ambassadorial Scholarship is intended to further international understanding and friendly relations among peoples of different countries. Those selected become “Ambassadors of Good Will” and make presentations before, during and after the award year. Scholarships are for graduate study for one academic year (nine or ten months). The award was $27,000. in 2010. Applicants must name five institutions in at least two different countries that they would be willing to attend. 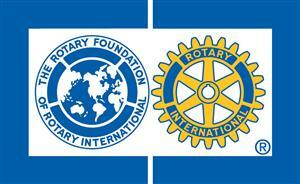 The final selection of institutions is up to Rotary International. The candidate must secure acceptance to the University. Each Scholarship Awardee will be assigned a Rotarian Sponsor Counselor from their sponsoring Rotary Club and a Host Counselor in the country to which they are assigned. What are the Qualifications for the Scholarship? Applicants must be U.S. citizens who have obtained or will have completed a Bachelor’s degree from a College or University by June, 2012. Candidates in District 6440 should have their permanent address or work address within District 6440 or attend an academic institution based in District 6440. Rotarians, Honorary Rotarians, employees of Rotary, and spouse/child/adopted child/grandchild or spouse of a lineal descendent of the foregoing categories are not eligible. While a strong academic record is a positive factor in selection, qualities such as communication skills, personal presentation, and suitability of purpose to Rotary’s mission may be weighed more heavily in choosing candidates. What does a Rotary Club need to do to nominate a successful candidate? Rotary Clubs should get the word out in their communities about the Ambassadorial Scholarship program and seek a number of interested applicants. The Club can screen candidates, hold their own interviews at the Club level, coach applicants in completion of their written applications, remind candidates to obtain the required transcripts and recommendations, and coach applicants regarding the District level interview. It’s a good idea for the Club to set a deadline for applications in May to allow ample time to select and prepare candidates for the submission to the District by July 1. The Club should also select a Rotarian Sponsor Counselor who will work with the applicant throughout the selection process as well as during their Ambassadorial year, should they be a successful candidate. Sponsoring an Ambassadorial Scholarship is a rewarding experience for the Sponsor Counselor and sponsoring Rotary Club and a great way to expand members’ interest in International Service. For the Ambassadorial Scholar, the experience is life-changing. If you have any doubts, just listen to the presentations by former Scholars at Rotary District Conference.